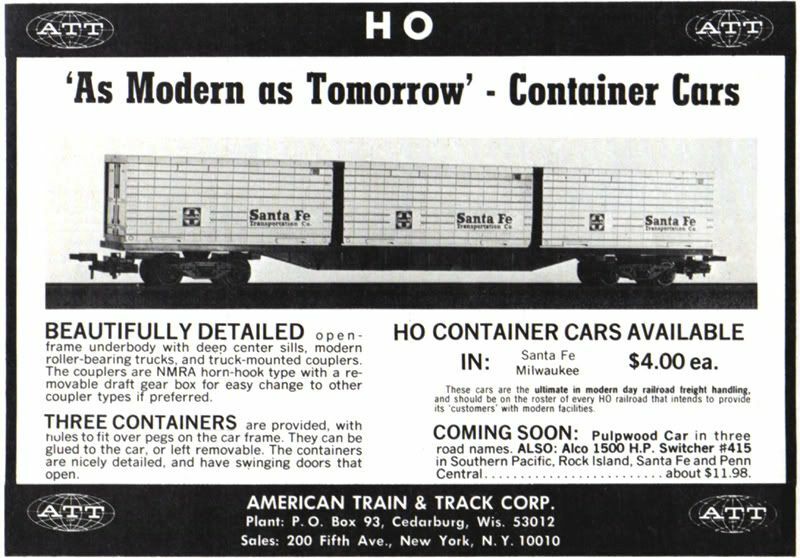 A truly unique entry in the American Train & Track rolling stock collection was this curious Container Car. The car somewhat has the flavor of the Flexi-Van and you'll notice the New York Central example even carries that name in its title. The three containers include working doors. The car was built in the U.K. for American Train & Track and carried a $4.00 price tag in the 1969-70 company catalog. 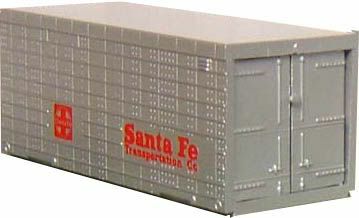 It is listed as "80' Container Car" in the catalog. 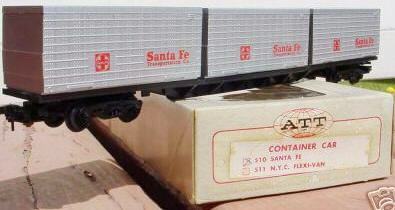 The roadnames in 1969-70 are only two, according to the catalog, Santa Fe and Flexi Van. The Milwaukee Road example is not in the 1969-70 catalog. The American, Train & Track's car rides on a very odd appearing truck, while not prototype, if you review the prototype example of a similar car you see the ATT example is in the neighborhood perhaps.